Welcome to the Vapor Range family! Based out of Los Angeles, California, our mission is to provide you with some of the hottest vaping hardware, juice, batteries, tools, materials, and accessories through our wholesale department at the lowest price possible. Our inventory is always changing, and we are sure to have just what you need to stock your vapor shop, with brands including SMOK, Aspire, USV, BMI, Dotmod, Hellvape, Wotofo, Suorin, Artery, Mi-Pod, asMODus, Digiflavor, GeekVape, Wake Mod Co., and more! We take pride in our dedication to always providing the best service possible, and our professional, helpful, and knowledgeable staff is always ready to answer any questions you may have about our wholesale stock, a specific item, our order fulfillment process, or anything else. We are vapers at heart, and want to offer the experience we would like when dealing with wholesale items, and so we guarantee that we will do everything in our power to make your experience with doing business with us as painless and pleasant as possible. Just give us a call and we will be happy to assist you in every way possible! If you would like to view our shipping policies and general information regarding orders, please visit our Customer Service Policies page. 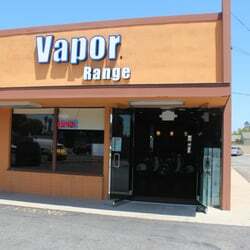 If you are a retail customer who would like to order from our retail channel, please visit vaporrange.com.